Angiogenesis and inflammation characterise proliferative diabetic retinopathy (PDR), a major complication of diabetes mellitus. However, the impact of inflammation on the pathogenesis of PDR neovascularisation has not been elucidated. Here, we assessed the capacity of PDR vitreous fluid to induce pro-angiogenic/proinflammatory responses in endothelium and the contribution of the inflammation-related pattern recognition N-formyl peptide receptors (FPRs) in mediating these responses. Pooled and individual pars plana vitrectomy-derived PDR vitreous fluid (‘PDR vitreous’) samples were assessed in endothelial cell proliferation, motility, sprouting and morphogenesis assays, and for the capacity to induce proinflammatory transcription factor activation, reactive oxygen species production, intercellular junction disruption and leucocyte-adhesion molecule upregulation in these cells. In vivo, the pro-angiogenic/proinflammatory activity of PDR vitreous was tested in murine Matrigel plug and chick embryo chorioallantoic membrane (CAM) assays. Finally, the FPR inhibitors Boc-Phe-Leu-Phe-Leu-Phe (Boc-FLFLF) and Ac-l-Arg-Aib-l-Arg-l-Cα(Me)Phe-NH2 tetrapeptide (UPARANT) were evaluated for their capacity to affect the biological responses elicited by PDR vitreous. PDR vitreous activates a pro-angiogenic/proinflammatory phenotype in endothelial cells. Accordingly, PDR vitreous triggers a potent angiogenic/inflammatory response in vivo. Notably, the different capacity of individual PDR vitreous samples to induce neovessel formation in the CAM correlates with their ability to recruit infiltrating CD45+ cells. Finally, the FPR inhibitor Boc-FLFLF and the novel FPR antagonist UPARANT inhibit neovessel formation and inflammatory responses triggered by PDR vitreous in the CAM assay. This study provides evidence that inflammation mediates the angiogenic activity of PDR vitreous and paves the way for the development of FPR-targeting anti-inflammatory/anti-angiogenic approaches for PDR therapy. The online version of this article (doi: 10.1007/s00125-016-4204-0) contains peer-reviewed but unedited supplementary material, which is available to authorised users. Diabetic retinopathy, the leading cause of visual impairment in the working-age population , begins as non-proliferative retinal abnormalities and progresses to proliferative diabetic retinopathy (PDR) characterised by neovascularisation and a persistent grade of inflammation [2, 3, 4, 5]. Even though anti-angiogenic vascular endothelial growth factor (VEGF) inhibitors are widely used in PDR therapy , several limitations to anti-VEGF interventions exist . Furthermore, production of other angiogenic factors and proinflammatory mediators may nullify and/or cause resistance to anti-VEGF therapies [6, 7]. Angiogenesis and inflammation are closely related processes that play a pivotal role in ocular diseases associated with retinal neovascularisation [5, 8, 9]. Thus, a tight cross talk may exist between angiogenesis and inflammation in PDR. Accordingly, the therapeutic potential of intravitreal administration of anti-inflammatory corticosteroids (e.g. 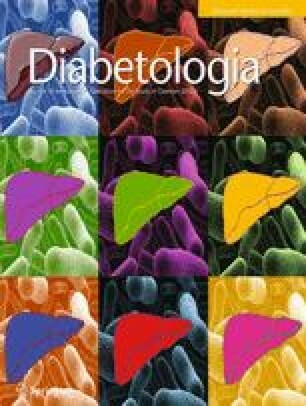 triamcinolone acetonide) has been investigated in patients with diabetic retinopathy. However, beneficial effects can be transient and associated with steroid-related adverse events [10, 11]. This calls for a better understanding of the cross talk between angiogenesis and inflammation in PDR to identify novel anti-inflammatory approaches able to suppress retinal neovascularisation. N-formyl peptide receptors (FPRs) are involved in the recruitment and activation of immune cells in response to pathogen-associated molecular patterns. In addition, experimental evidence implicates FPRs in angiogenic responses linked to inflammation , and FPR interaction with the urokinase-type plasminogen activator (uPA)/uPA receptor (uPAR) system may stimulate angiogenesis in a protease-independent manner [13, 14, 15]. Accordingly, the uPAR-derived tetrapeptide Ac-l-Arg-Aib-l-Arg-l-Cα(Me)Phe-NH2 (UPARANT) competes with formyl-methionyl-leucyl phenylalanine (fMLF) peptide for binding to FPRs and is endowed with a significant anti-angiogenic activity in vitro and in vivo [16, 17]. In addition, UPARANT prevents ocular angiogenesis and reduces the levels of inflammatory mediators in murine models of oxygen-induced retinopathy and laser-induced choroidal neovascularisation [17, 18]. The study of the biological effects exerted by PDR vitreous fluid (‘PDR vitreous’) on endothelial cells may represent a useful tool to investigate the relationship between neovascular and inflammatory responses in preclinical experimental models. PDR vitreous contains high levels of pro-angiogenic and proinflammatory mediators [19, 20] and stimulates angiogenesis in vitro and in vivo, whereas no angiogenic response is elicited by vitreous fluid from patients with a macular hole [7, 17, 21, 22, 23]. However, no data are available about the capacity of PDR vitreous to exert proinflammatory responses in endothelium, their relationship with its ability to stimulate neovessel formation or the role of FPRs in this process. This study was designed to assess the pro-angiogenic and proinflammatory potential of vitreous fluid obtained from PDR patients after pars plana vitrectomy and to evaluate the impact of FPR inhibitors on their biological activity. A list of reagents is included in the electronic supplementary material (ESM). Patients with PDR (Table 1) and age-matched patients with macular hole underwent pars plana vitrectomy at the Clinics of Ophthalmology (University of Brescia) during the period January 2014–June 2016. Collection and analysis of human samples were approved by the internal review board of the Spedali Civili of Brescia and followed the principles of the Declaration of Helsinki. Informed consent was obtained from all participants. Samples were stored at −80°C. Their content of pro-angiogenic/proinflammatory mediators was evaluated using a semi-quantitative antibody-based RayBio Human Angiogenesis Array C1000 (Raybiotech, Norcross, GA, USA). See ESM methods. All assays were performed on vitreous samples pooled from 4-5 patients unless specified otherwise. Data are representative of at least three independent pools of vitreous fluid that provided similar results. PDR vitreous was tested on HUVECs in different angiogenesis assays. Briefly, in the proliferation assay, HUVECs (17,000 cells/cm2) were treated with increasing amounts of vitreous fluid diluted in culture medium plus 2.5% FCS and counted after 24 h. In the migration assay, HUVECs were seeded at 1.0×106 cells/ml in the upper compartment of a Boyden chamber, and increasing amounts of vitreous fluid were placed in the lower compartment. After 3 h at 37°C, cells that had migrated to the lower side of the filter were counted. In the morphogenesis assay, HUVECs were seeded on Matrigel at 2.0×105 cells/ml in the absence or presence of vitreous fluid and the number of meshes was counted after 8 h. In the endothelial cell sprouting assay, fibrin gel-embedded HUVEC spheroids were stimulated with vitreous fluid and endothelial cell sprouts were counted 24 h thereafter. In addition, murine retina tissue fragments were embedded in fibrin gel and stimulated with vitreous fluid. Retinal endothelial cell sprouting was evaluated after 7 days. See ESM methods for details. The same vitreous samples were assessed in HUVECs for their proinflammatory potential. Briefly, HUVECs (1.0 × 106) suspended in serum-free medium in the presence of 1:4 vitreous fluid were incubated with 5 μmol/l dichloro-dihydro-fluorescein diacetate (DCFH-DA) for 5–30 min in the dark at 37°C and reactive oxygen species (ROS) production was quantified by FACS analysis. Serum-starved confluent HUVECs were treated with 1:4 vitreous fluid for 0–30 min, fixed in 4% paraformaldehyde and immunostained with antibodies against anti-tight junction protein 1 (ZO-1), anti-vascular endothelial cadherin (VE-CAD), anti-phosphorylated-cAMP-response element-binding protein (pCREB) or anti-NF-κB p65 subunit. Endothelial barrier function was studied on confluent HUVEC monolayers by a trans-endothelial electrical resistance assay in which impedance was monitored every min for 3 h following PDR vitreous treatment. Also, fluorescently labelled THP-1 cells (7.0 × 105 cells/well) were added on the top of HUVEC monolayers that had been treated with 1:4 vitreous fluid for 18 h. After 30 min at 37°C, adherent THP-1 cells were quantified. See ESM methods for details. Finally, HUVECs were evaluated for FPR1-3 expression by RT-PCR, FACS and western blot analysis according to standard procedures. See ESM methods. Real-time quantitative PCR (qPCR) was used to determine the relative expression levels of mRNAs. See ESM methods. The pro-angiogenic/proinflammatory activity of vitreous fluid was evaluated in vivo in the murine Matrigel plug  and chick embryo chorioallantoic membrane (CAM)  assays. Matrigel was mixed at 4°C with 1:4 vitreous fluid and injected subcutaneously (0.4 ml/mouse) into the flank of 6–8 week old C57BL6 female mice (Charles River, Calco, Italy). One week after injection, the proinflammatory/pro-angiogenic response was quantified in harvested plugs by qPCR. See ESM methods. Alginate beads (3 μl) containing 2 μl of vitreous fluid were placed on top of the CAM of fertilised chicken eggs at day 11 of development. Microvessels converging towards the implant were counted under a stereomicroscope and the CD45+ infiltrate was assessed by immunofluorescence analysis. See ESM methods. Procedures were carried out according to the Guide for the care and use of laboratory animals, the animal care Italian guidelines (DL 116/92) and the European Communities Council Directive (86/609/EEC) and were approved by the Ethical Committee in Animal Experiments of the University of Brescia. Data are mean ± SEM. Statistical significance was evaluated with commercial software (GraphPad Prism 6; San Diego, CA, USA) using Student’s t test or one-way ANOVA followed by Bonferroni multiple comparison post test. Differences were considered significant when p<0.05. Three pools of human PDR vitreous were evaluated for their content of pro-angiogenic/proinflammatory mediators using a semi-quantitative antibody-based array. As shown in ESM Table 2, a variety of cytokines, chemokines and angiogenic growth factors are detectable in PDR vitreous, supporting the hypothesis that this fluid may exert both angiogenic and inflammatory responses in endothelial cells. On this basis, PDR vitreous was assessed for its capacity to affect in vitro different steps of the angiogenic process. As shown in Fig. 1, PDR vitreous induces HUVEC proliferation and motility, endothelial cell sprouting in a three-dimensional murine retinal angiogenesis assay, and capillary-like tube morphogenesis in HUVECs seeded on Matrigel. No activity was exerted by the vitreous from age-matched patients with macular hole, thus confirming the specificity of the effect. Next, we analysed the capacity of PDR vitreous to activate a proinflammatory phenotype in endothelial cells. As shown in Fig. 2a–d, PDR vitreous induces the rapid nuclear translocation of the proinflammatory transcription factors NF-κB and pCREB in HUVECs, whereas no pCREB translocation was observed in cells treated with vitreous from patients with macular hole (ESM Fig. 1). Moreover, PDR vitreous stimulates the early production of ROS in HUVECs (Fig. 2e). The loss of endothelial barrier integrity and leucocyte adhesion are early events induced by proinflammatory mediators in endothelial cells. HUVEC monolayers treated with PDR vitreous show an increased number of intercellular gaps and the loss of ZO-1 and VE-CAD junction protein organisation (Fig. 2f). Accordingly, PDR vitreous affects endothelial barrier function as assessed by a trans-endothelial electrical resistance assay performed on HUVEC monolayers (Fig. 2g). In addition, PDR vitreous upregulates the expression of the leucocyte-adhesion receptors E-SELECTIN, vascular cell adhesion molecule 1 (VCAM-1) and intercellular adhesion molecule 1 (ICAM-1) in HUVECs, with no effect on P-SELECTIN (Fig. 2h). Eventually, PDR vitreous increases the adhesion of human monocytic THP-1 cells to a HUVEC monolayer, this increase being inhibited by neutralising VCAM-1 plus ICAM-1 antibodies (Fig. 2i). The capacity of PDR vitreous to induce angiogenic and inflammatory responses in vivo was investigated in a murine Matrigel plug assay. PDR vitreous-treated plugs showed a significant upregulation of the expression of endothelial Cd31 (also known as Pecam1) and leucocyte Cd45 (also known as Ptprc) transcripts in respect to control plugs (Fig. 3a). Histological analysis confirmed an increase of CD31+ neovessels and of infiltrating CD45+ cells in PDR vitreous-treated vs control plugs (Fig. 3b). In addition, qPCR analysis of the expression levels of various cell lineage-specific markers indicated that the inflammatory infiltrate in PDR vitreous plugs was characterised by an increased recruitment of chondroitin sulphate proteoglycan 4 (NG2)+ pericytes and CD11B+ monocytes, with an abundance of the expression of the M2 macrophage markers Egr2 and Cd83 . At variance, no changes in the expression levels of the M1 macrophage marker Cd38  was observed between control and PDR vitreous plugs (Fig. 3a). Lymphocyte antigen 6 complex, locus G (GR1)+ neutrophils, CD4+ and CD8+ T lymphocytes, CD19+ B lymphocytes and CD161+ natural killer cells/lymphocytes were scarcely present in both experimental groups, as indicated by the negligible levels of expression of the corresponding markers that were detected by qPCR analysis only after an unreliable, very high number of amplification cycles (data not shown). To further assess the proangiogenic/proinflammatory activity of PDR vitreous, alginate beads containing 2.0 μl/pellet of PDR vitreous were implanted onto the top of the chick embryo CAM. Numerous neovessels converging towards the implant were detectable 72 h after grafting when compared with vehicle-treated embryos (Fig. 3c, d). Furthermore, PDR vitreous-loaded beads recruited a remarkable mononuclear CD45+ cell infiltrate in the surrounding mesenchyme, representing embryonic proinflammatory monocytes/macrophages , barely detectable in control implants (Fig. 3c, d). Notably, analysis of the kinetics of response of the chick embryo CAM highlights the sharp increase in CD45+ cell recruitment following PDR vitreous plug implantation with a slower appearance of the newly formed blood vessels (Fig. 3e). In addition, a significant positive correlation (p=0.01) was observed between the number of infiltrating CD45+ cells and the number of neovessels when samples of vitreous fluid obtained from ten PDR patients were individually tested in the CAM assay, more angiogenic samples being characterised by a stronger inflammatory response (Fig. 3f). To assess the role exerted by inflammation in the angiogenic response elicited in vivo by PDR vitreous, a series of CAM assays were performed in the absence and presence of the anti-angiogenic prototypic VEGF blocker bevacizumab or the prototypic steroidal anti-inflammatory drug hydrocortisone. As shown in Fig. 4, hydrocortisone (1.0 μg/pellet) caused a potent inhibition of the angiogenic response triggered by PDR vitreous that was paralleled by a significant reduction in the inflammatory infiltrate, whereas bevacizumab (50 μg/pellet) exerted only a marginal effect. Together, these observations point to a non-redundant role of inflammation in the angiogenic process triggered by PDR vitreous. FPRs are implicated in the regulation of innate immune responses, inflammation, tissue repair and angiogenesis. Semi-quantitative RT-PCR, FACS and western blot analyses indicate that our HUVEC primary cultures express FPR3 but not FPR1 and FPR2 when compared with monocytic THP-1 cells that express all three FPRs (ESM Fig. 2). In order to assess a possible involvement of FPRs in PDR, we evaluated the effect of the pan-FPR antagonist Boc-Phe-Leu-Phe-Leu-Phe (Boc-FLFLF) on the angiogenic/inflammatory potential of PDR vitreous. As shown in Fig. 5a, b, Boc-FLFLF inhibits PDR vitreous-stimulated invasion of three-dimensional fibrin gel by HUVEC spheroids, whereas the selective FPR1 antagonist ciclosporin H and the FPR2 antagonist WRW4 were ineffective. In addition, Boc-FLFLF prevents neovascularisation and recruitment of CD45+ inflammatory cells triggered by PDR vitreous in the CAM assay (Fig. 5c, d). Together, these data point to FPRs as a potential therapeutic target in PDR. The uPAR-derived tetrapeptide UPARANT is a novel FPR antagonist endowed with a significant anti-angiogenic activity. On this basis, we assessed the capacity of UPARANT to affect the angiogenic response induced in the chick embryo CAM by individual vitreous fluid samples obtained from 20 PDR patients. As shown in Fig. 6a, b, UPARANT (1.0 μg/pellet) significantly inhibited neovessel formation induced by 16 out of the 20 individual samples tested. Notably, intravitreal pretreatment of PDR patients with the VEGF blocker ranibizumab 10–15 days before pars plana vitrectomy did not affect the angiogenic activity of PDR vitreous nor the inhibitory activity of UPARANT (ESM Fig. 3). Finally, UPARANT was assessed for the capacity to suppress the inflammatory response triggered by PDR vitreous in the CAM assay. The experiments were performed on one pooled vitreous fluid sample (Fig. 6c) and on five individual PDR samples (Fig. 6d). In both cases, UPARANT inhibited the recruitment of the CD45+ infiltrate in the CAM mesenchyme surrounding the PDR vitreous-loaded plug. Again, this was paralleled by a significant inhibition of neovessel formation that was linearly related to the reduction of the inflammatory infiltrate (Fig. 6e). Here, the vitreous humour obtained from PDR patients after pars plana vitrectomy was used as a tool to investigate the relationship between neovascular and inflammatory responses that occur in endothelial cells during PDR. A variety of cytokines, chemokines and angiogenic growth factors are detectable in PDR vitreous (ESM Table 2 and Wang et al and Dai et al [19, 20]). Accordingly, PDR vitreous activates in vitro all the steps of the angiogenic process, including endothelial cell proliferation, motility, sprouting and morphogenesis. PDR vitreous induces also a proinflammatory activation of endothelial cells characterised by the nuclear translocation of the proinflammatory transcription factors NF-κB and pCREB [27, 28, 29], ROS production, disruption of endothelial cell barrier integrity, upregulation of E-SELECTIN, VCAM-1 and ICAM-1 expression and consequent increase in leucocyte adhesion. In keeping with its proinflammatory/pro-angiogenic potential, PDR vitreous triggers a potent neovascular response and the recruitment of a CD45+/CD11+ infiltrate in the in vivo murine Matrigel plug assay characterised by a predominant pro-angiogenic M2 polarisation. Accordingly, a rapid CD45+ leucocyte recruitment occurs when PDR vitreous is tested for its angiogenic capacity in the chick embryo CAM assay. Notably, a significant positive correlation was observed between the number of neovessels and of infiltrating CD45+ cells when PDR vitreous samples from different patients were individually tested in the CAM assay. Together, these data indicate that a strict correlation may exist between the pro-angiogenic and proinflammatory activity of PDR vitreous, the inflammatory environment playing a non-redundant role in neovessel formation. The capacity of the anti-inflammatory drug hydrocortisone to inhibit both inflammatory and angiogenic responses in PDR vitreous-treated CAMs supports this hypothesis. This is in keeping with previous observations indicating that inflammation plays a pivotal role in the angiogenesis process driven by various angiogenic growth factors, including VEGF , fibroblast growth factor 2 (FGF2) , placenta growth factor (PlGF)  and IL-1β . At variance with hydrocortisone, the VEGF blocker bevacizumab was poorly effective in inhibiting the activity of PDR vitreous. This accords with previous observations showing that the K5-NOS(H) polysaccharide, a pan-inhibitor for heparin-binding proinflammatory/angiogenic factors, was more effective than bevacizumab in inhibiting the angiogenic activity of PDR vitreous . Thus, the best performance of hydrocortisone vs bevacizumab suggests that the angio-inflammatory responses elicited by PDR vitreous may represent the result of the synergistic action of various modulators, besides VEGF. Notably, no difference in pro-angiogenic/proinflammatory activity was observed between haemorrhagic and non-haemorrhagic PDR vitreous samples when tested in the CAM assay (ESM Fig. 4), indicating that local production, rather than systemic inflow, is the relevant source of cytokines within the ocular PDR microenvironment. This is in keeping with the high vitreous/plasma ratio measured for cytokine levels in PDR patients [34, 35, 36]. Together, these data point to local eye inflammation as a driving force that sustains angiogenesis in PDR. Intravitreal administration of corticosteroids is associated with possible adverse events [10, 11], leading to the requirement for novel anti-inflammatory approaches in PDR therapy able to suppress retinal neovascularisation. FPRs are G protein-coupled receptors implicated in the regulation of innate immune responses, inflammation, tissue repair and angiogenesis . FPRs exert a productive interaction with the uPAR88–92 receptor region that modulates the biological response of leucocytes and endothelial cells to inflammatory mediators and angiogenic factors [37, 38, 39]. On this basis, allosteric inhibitors related to the uPAR88–92 sequence and able to block the cross talk involving uPAR, FPRs and integrins were developed [16, 40, 41]. Among them, UPARANT competes with fMLF peptide for the binding to FPRs and is endowed with a significant anti-angiogenic activity in vitro and in vivo [16, 17, 18]. In addition, UPARANT suppresses the angiogenic activity of pooled PDR vitreous samples, pointing to this compound as a promising therapeutic for the treatment of inflammatory diseases associated with ocular angiogenesis, including PDR [17, 18]. Here, we demonstrate that UPARANT inhibits the neovascular response elicited in the CAM assay by 16 out of the 20 individual vitreous samples obtained from PDR patients. Inhibition of neovessel formation by UPARANT went along with a significant reduction in the inflammatory infiltrate. Notably, intravitreal pretreatment of PDR patients with the VEGF blocker ranibizumab before vitrectomy did not affect the inhibitory effect exerted by UPARANT. Together, these data strongly support the hypothesis that the inflammatory response elicited by the PDR vitreous via FPR activation plays a non-redundant role in neovessel formation and raise the question about the endothelial FPR subtype(s) and vitreous fluid mediator(s) responsible for such activation. Our results demonstrate that HUVECs express FPR3, but not FPR1 or FPR2. Accordingly, the pan-FPR antagonist Boc-FLFLF hampers the angio-inflammatory responses elicited by PDR vitreous in endothelial cells, whereas the FPR1 antagonist ciclosporin H and the FPR2 antagonist WRW4  were ineffective. However, VEGF-inducible expression of FPR2 has been reported in endothelial cells , indicating that differences in cell isolation and/or cell culture conditions, as well as changes of the in vivo microenvironment, may affect the pattern of FPR expression in endothelial cells. This calls for further experiments aimed to assess the expression of FPRs in retinal vessels of PDR patients. Various danger-associated molecular pattern host-derived peptides can activate FPRs . Notably, the FPR ligands serum amyloid A, LL-37 and Hp(2-20) have been involved in the regulation of neovascularisation under inflammatory conditions . High levels of serum amyloid A are detectable in the vitreous and plasma of PDR patients  and in eyes with macular oedema [44, 45] whereas, to the best of our knowledge, no data are available about the levels of other FPR ligands in PDR vitreous. Even though further studies will be required to identify unambiguously the FPR subtypes and their natural ligands acting as mediators of the angiogenic/inflammatory activity of PDR vitreous, our data indicate that anti-angiogenic strategies targeting FPR activation may be exploited in persistent ocular inflammatory conditions, including PDR. In this frame, UPARANT may represent the basis for the development of novel anti-inflammatory/anti-angiogenic approaches for PDR therapy. We thank S. Calza (Department of Molecular and Translational Medicine, University of Brescia, Italy) for statistical analysis and S. Liekens (Rega Institute, Leuven, Belgium) for trans-endothelial electrical resistance measurements. The authors declare that the data supporting the findings of this study are available within the article and its supplementary information file. This work was supported in part by grants from: Ministero dell’Istruzione, Università e Ricerca (FIRB project RBAP11H2R9 2011), Associazione Italiana per la Ricerca sul Cancro (AIRC grant no. 14395) and BIOOS Italia to MP; Fondi Europei per lo Sviluppo Regionale, Ministero dell’Istruzione, Università e Ricerca and Ministero dello Sviluppo Economico (PON01 02464) to MDR and VP; AIRC IG 2015, grant 17276 to SM, SR and PC were supported by fellowships from AIRC and Fondazione Italiana per la Ricerca sul Cancro (FIRC), respectively. SR contributed to study design, acquisition and analysis of data and drafted the manuscript. MC, PC, AC, IMN, DC, SM, RR, MB and LL contributed to study design, acquisition and analysis of data and critical revision of the manuscript. LL performed the synthesis of UPARANT and contributed to acquisition and analysis of data. DR, MDR, VP and FS contributed to the conception and design of the experiments, interpretation of data and critical revision of the manuscript. MP supervised the project, designed experiments, analysed data and drafted the manuscript. All authors gave their approval to the final version of the manuscript. MP is responsible for the integrity of the work as a whole.